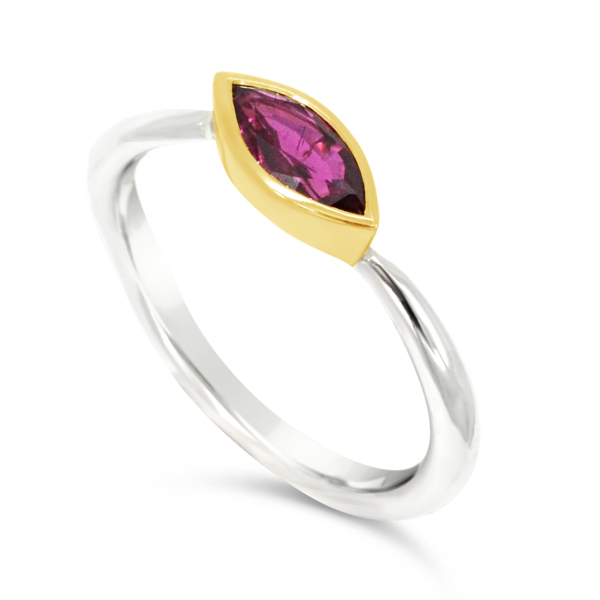 Platinum and marquise ruby ring in 18ct gold setting. Made to fit with an identical ring as a stacking set. Handmade to order in your choice of metal – just fill out an enquiry form for an accurate quote.